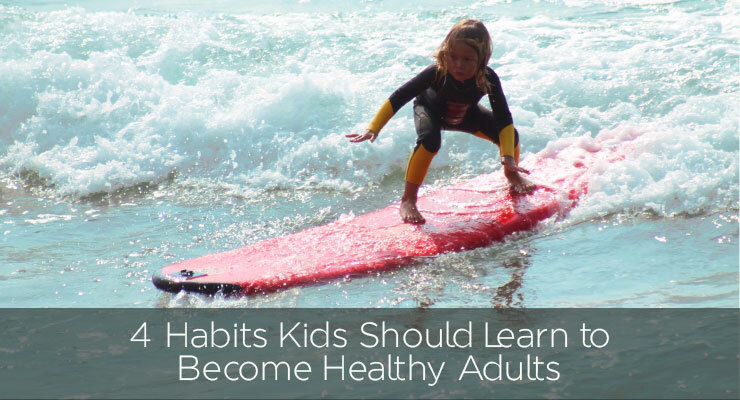 One of the best ways to set people up for success as adults is to foster healthy habits when they are children. A study performed by cardiologists at the Minneapolis Heart Institute between 1985 and 2005 showed that the participants with healthier eating habits in 1985, particularly those consuming more daily servings of vegetables and fruit, had better cardiac health 20 years later than those who ate fewer fruit and veggies. Helping children form good habits when they are young not only sets them on a path to a healthy adulthood, but also teaches them how to create and maintain new healthful habits on their own throughout their lives. A 2014 Brown University study found that most of a person’s lifetime habits are formed by the age of 9. This does not mean that it is impossible for someone older to create new habits, but it is less likely. Another study published in the International Journal of Behavioral Nutrition and Physical Activity examined the use of a habit-forming method to improve dietary habits in children. The study found that setting new, lasting habits takes at least two weeks, and that it was crucial to focus on a single new habit in each two-week period instead of attempting many changes at once. These habits were implemented most successfully when the goal was clear and easy for the child to understand. The goal also should be approached as something positive. Habits are easier to form if they are perceived as an added activity to perform rather than a desired activity to avoid. Giving your child an overall positive attitude toward making healthy choices is a gift they will use every day. Here are 4 of the most important habits to encourage your children to develop which will have the greatest impact over time. Set a goal for the number of cups of water your child should drink each day. Be sure to determine the right number for your child’s age and size. After all, a five-year-old doesn’t need as much water as a teenager! Identify certain cues that will occur during the day to remind your child that it’s time to drink a cup of water: after lunch, when they get home from school, before dinner, and so forth. If your child loves fruit juice or other sugary beverages, do not make this goal about replacing them with water. Add the water to your child’s daily routine without making them feel deprived so the water is not viewed primarily as a less-tasty substitute. Once your child has fully developed a water-drinking habit, add fruits and veggies to their daily checklist. This requires more advance preparation than water; plan ahead so you always have fruit and vegetables on hand. Much like with drinking water, you need to determine the proper number of daily fruit and vegetable servings for your child’s age and size. Set a goal and help your child keep count of the number of servings they have eaten in a day. Eating a variety of fruits and vegetables is important to get the best range of nutrients, but some children are very picky eaters. Some flexibility on exactly which fruits or veggies they eat may be required. Eating some veggies is better than eating no veggies, and turning it into a battle is not going to create a good habit. Teach your children about the benefits they get from eating a given food. Even very young children can grasp the basics about the effects it has for fueling the body. One of the best ways to ensure healthy eating is to plan ahead and prepare meals at home. Children will gain a greater understanding of food if they are allowed to participate in this process. This will then set the foundation for all the meals they will choose to eat as adults. When a child is able to understand a concept like a serving of vegetables, you can help them fill in the rest of the picture with proteins and more to learn what makes a well-balanced meal. Remember that the goal is for your child to form good habits, and they cannot do that effectively if they are not involved in the process. Being an active participant in one’s own health choices is crucial. Let your child learn through experience that eating healthy is not a dreary obligation — it is giving your body the fuel it needs to work as well as possible. Learning kitchen and food safety is a major side benefit of this process! Eating healthily is very important, but the body needs exercise just as much. Some kids are naturally active, while others need a little more coaxing to get enough exercise. As with healthy eating, making sure a child gets enough exercise often requires some advance planning. Not every school has recess or a physical education class, so it’s important to be aware of how much exercise your child is actually getting. It is recommended that children do at least 60 minutes of physical activity per day, or more if possible. The goal of 60 minutes of physical activity can be broken up into several increments: 10 minutes here and 20 minutes there can add up quickly. “Physical activity” does not necessarily mean participating in a formal exercise or sports program, although those can be very helpful and fun for kids. Riding bikes, walking, and playing all can count toward the goal. Trying to form several new habits at once is overwhelming, especially for a child. When the activities cannot be followed well, the habits are not formed and frustration often ensues. Too much change at once is jarring, so it is worth the effort to focus on one new habit at a time. Once it is well-incorporated into your child’s everyday life, then you can begin the process again to add another new habit. This cycle can be repeated as many times as necessary. It may seem like the changes are very small, but they will add up to a much healthier lifestyle over time and prepare your child to enter the adult world with both a healthy body and a can-do attitude. What is the Keto Diet - and What Isn’t It? Jeff Mushkin has a Bachelor of Science in Physical Education, a Master’s Degree in Public Health, and over 20 years of experience in physical education, health and nutrition. Jeff currently serves as the Director of Curriculum Development for Sportime featuring SPARK, a division of School Specialty, and lives in Louisville, KY. 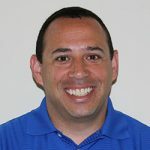 Among his many roles, Jeff oversees the development of SPARK curriculum, websites, professional development workshops, and physical education resources for teachers.